Choosing a domain name for your holiday rental website is one of the most important and undervalued aspects of your rental business. With millions of websites competing for bookings, you need every advantage you can get to market your business. Here are a few tips to keep in mind when you’re choosing a domain name. Having a great website won’t matter if no one can remember your domain name. 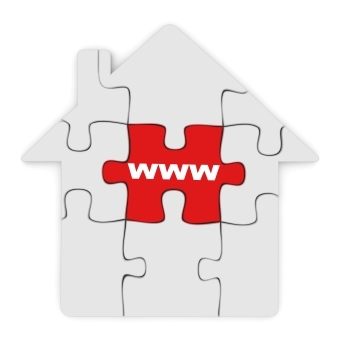 Your website name creates an identity for your holiday rental. Your name needs to be unique, memorable, relevant to travellers and stand out from the crowd. Word of mouth marketing can help bring new customers to your website, so the simpler your domain name is to spell, type and say out loud, the better. It’s important for a traveller to instantly understand what your website is about just by reading the domain name. There are lots of very successful travel websites that contradict this advice, but you don’t have the budget required to build a brand like Airbnb, Trivago or Expedia. Take some time to brainstorm a few ideas using 3 to 5 keywords and phrases that clearly define what you do. Mix them up and see what looks right and makes sense. For example, if you have a lodge in Windermere, some terms you want to use would be windermere, lodge, lakes or rental. You may end up creating a domain name that is both descriptive and contains important keywords. com is long-winded and is too generic. co.uk sounds brandable, but the double ss are likely to be mistyped by potential renters. lazylodge or lakeslazylodge would be ideal because it’s brandable, unique, memorable and describes what the site is about. Before you decide to call your holiday home ‘Rose Cottage’ or ‘Yew Tree Cottage’ note that Royal Mail analysed its database of 29.3 million UK addresses to identify the 50 most popular house names. Rose Cottage was the 3rd most popular house name and Yew Tree Cottage was 17th. Lots of house names are inspired by greenery, open spaces and flowers, so maybe avoid these popular choices. Also, check if your name too similar to a website that is already out there? Having a domain that closely resembles another holiday rental is never a good idea. All of your hard work advertising and promoting your website is wasted if guests end up on the wrong website by mistyping the domain or entering .com instead of your co.uk site. If your website brand name is already commonly known, it’s better to come up with a unique name to avoid confusion. Do you need keywords in the domain? In the past, having the exact keyword you are trying to rank for in the domain helped e.g. holidayrentals.com. However, this tactic was exploited so Google devalued exact match domain names and they don’t carry the weight that they used to. So when choosing a domain name, don’t worry about search engines. However, having a keyword in your domain name can help make it obvious what your website is about, plus, from an SEO perspective, the anchor text helps when people link. If it looks spammy, avoid it. If you are struggling for ideas then use a domain selection tool to help you such as https://www.namemesh.com/. Simply enter your words and it will suggest available domains. You also want your branding to be consistent across all your social media accounts. It makes sense to buy a domain name that has social media handles available. Use https://namechk.com/ to check. Choose a .com or .co.uk domain name because they’re the most commonly used, trusted and most likely to be remembered. If your domain name is taken, try to come up with a different name. If possible, secure both the .co.uk and .com versions and redirect the one not used. Does it pass the phone test? Do enquirers understand your URL without you having to spell it? Shorter domain names are often considered superior because they’re easier to read, spell and remember. They also take up less room on your marketing materials like flyers and business cards. Domains with lots of hyphens look spammy/unprofessional and are more difficult for users to remember and type e.g. cottage-in-st-ives.co.uk. Also, will people know the difference between a – and a / or a \ when you say ‘dash/hyphen’. Don’t do anything odd, like using the letter “Z” in a place where you should have an “S” and be careful of double letters like www.lilaccottage.com. The two c’s look a bit strange without capitalization. If you plan to have more than one rental listed on your website you’ll be faced with a challenge if you opt for cottage, apartment or villa. I would choose the plural keyword version as they typically get the most search demand. However, if available, choose both the singular and the plural. As soon as you decide on your domain name you should secure it before someone else does. Buy multiple domain names with different extensions e.g. .com, .co.uk and misspellings to protect your brand. Simply forward them to your main .com or .co.uk address. You can buy a domain from a registrar such as http://www.ukreg.com. Just make sure you register the domain in your name so you own it, not your web designer. Also, opt for domain privacy to hide your home address from lookups and set your domain to auto-renew so it doesn’t expire. If you don’t have a website you can still use the domain in your marketing. Just forward the URL to your listing site advert. It’s easy to do and your domain registrar will help you with this. Purchasing a domain name and creating your own website enables you to have a hub where you can market your rental and destination. The sooner you can get started, the sooner you can start taking bookings.